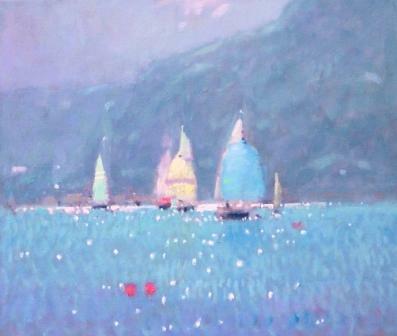 This particular Stephen Brown contemporary Marine painting " Sailing Into Salcombe - is a classic British Marine painting. Brown''s art mastery in depicting hazy warm British Summer Days on the Devon coast has been put to good effect in Sailing Into Salcombe. The painting has a peaceful and timeless quality to it. And Stephen has captured the light and reflections on the sea perfectly. Another great example of Contemporary British Art from one of the UK''s leading artists.